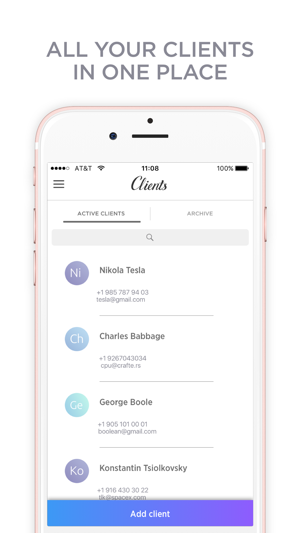 Clients app — amazingly simple and beautiful app to comfortably and effortlessly store and operate your client data work with them. 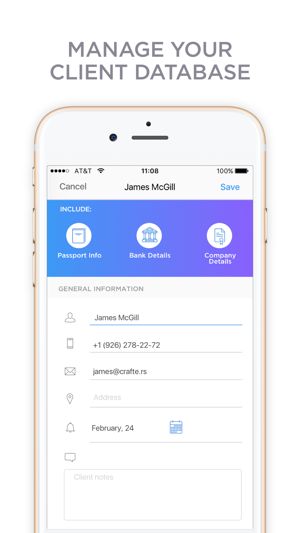 It doesn't matter if you are self employed or part of a big corporation, Clients app will organize client communication in a completely new way. 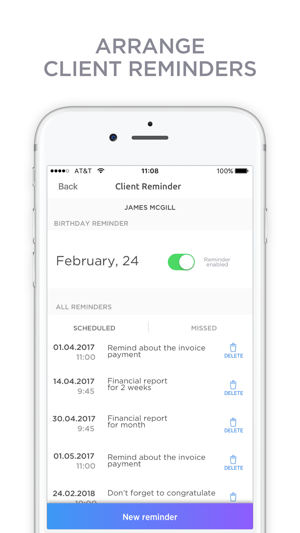 Clients app provide you new ways to interact with your clients — you physical presence at the desk is no longer required, as the same tasks can now be performed remotely, wherever you may find yourself — external meetings, on the road, at home. 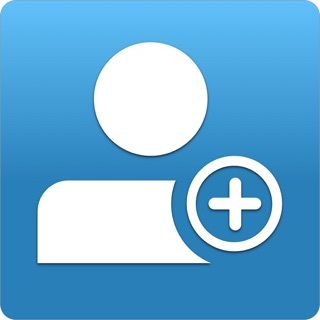 Make notes, import contacts, add reminders, send emails and SMS, call your customers from Clients app. Unlike your typical CRM, while developing Clients, we preferred to keep it clean from a variety of functions, the effectiveness of which was questionable, in favor of keeping it simple yet efficient. And at the same time, based on your feedback, in the coming months we will develop add-ons to extend the app functionality even further without compromising its usability. Stay tuned! I am using this app for my small massage therapy business. Simple and no fuss when adding new clients to recording treatments and client actions. Would love to see ability to add PDF attachments later down the track otherwise perfect for my needs. Great start up customer database, love the reminder message feature, have only been using a little while, so far perfect for what I need. It would be great to have the option to select multiple clients to send a group message. I have to send them all singularly?